Original film poster for Anita: Speaking Truth to Power. 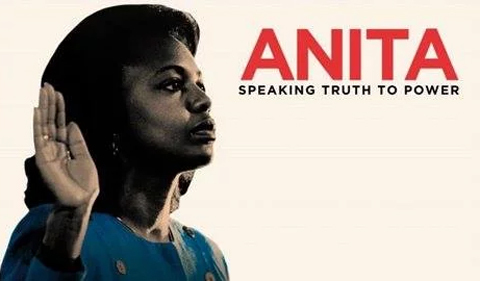 Anita: Speaking Truth to Power plays at the Athena Cinema for a free viewing and discussion on Thursday, Feb. 7, at 5:30 p.m.
Anita: Speaking the Truth is a 2013 documentary about Anita Hill’s courage in stepping forward against then Supreme Court nominee Clarence Thomas in 1991. The documentary covers Hill enduring the attacks made on her character and credibility after her accusation went public. After the film, there will be a discussion about the hearings that started a national conversation on sexual harassment in government and politics, and the workplace itself. This screening is sponsored by the Ohio University Office for Diversity and Inclusion, the Ohio University Multicultural Center, and the Ohio University Women’s Center, and the Black Student Cultural Programming Board of Ohio University.